The whistle of the pressure cooker was yet to blow and it seemed an endless wait. Me: Yes Divya, tell me..
Divya: Hey, where are you man? 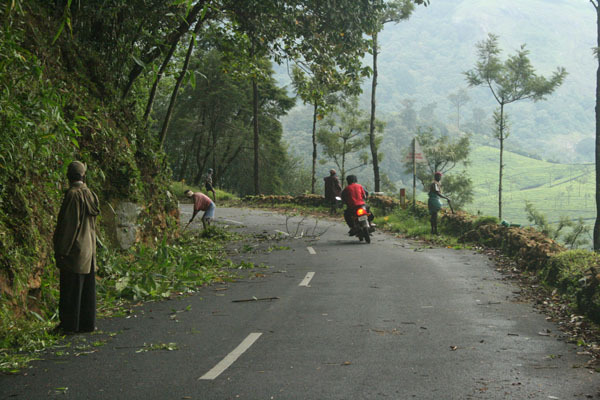 Me: I am at home, tell me..
Divya: See, near the 30th hairpin bend, people from the Highways department are slashing plants along the road side. There are some beautiful ferns too. I requested them not to cut any rainforest plants and ferns but it is better we not take any chances. 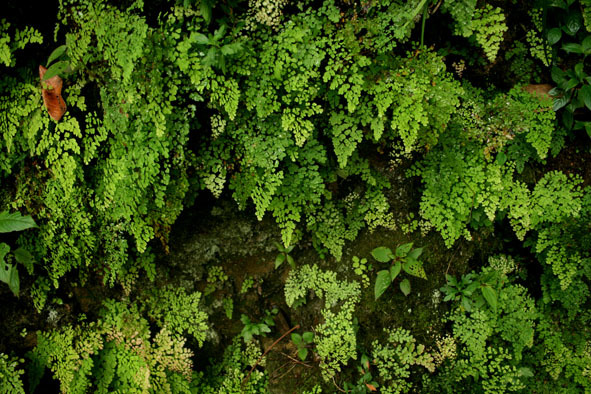 Why don’t you go and collect those ferns and save them? Me: Oh ok..I will be there..
Divya: You have to be really quick otherwise they will all go. Me: Alright I’ll be there as soon as possible. I looked at the pressure cooker for the last time again. There were no signs of any whistle. I put off the stove and dashed with my camera and a few bags towards the 30th hair pin bend in my vehicle. It was a wet morning with a light drizzle and it restricted me from driving fast. Slashing of plants along the roadside is not new to us. It is a periodical ritual executed under supervision from the Highways department to get rid of so called ‘unwanted plants’. Although, some of them might grow again, this kind of removal will pay way for weed infestation in that area. 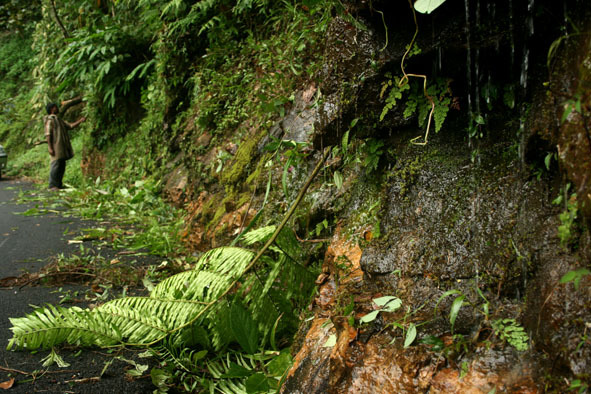 I was gradually approaching the men at work and could see the wild ferns and other rainforest plants by the roadside. A worker had just begun to chop them from one end. I slowed down the car and tried to locate the plants that Divya had mentioned in our telephonic conversation but failed to see them. Perhaps in spite of all my best efforts, I was a little too late. While I was still in the vehicle and in the process of pulling over, I saw a worker cutting a fern. I hurried towards the worker who was about to lift his sickle to strike again. I intervened and asked him not to cut the rest of them. Ideally, I didn’t want him to cut any of the plants. But that decision didn’t really lie in my hands. I indicated to him some lovely ferns, beautiful impatiens and few other rainforest tree saplings and requested him not to cut them. He, in turn, asked me to report this to his supervisor or else he will be questioned about this later. And saying this, he pointed towards the direction where the supervisor was working. I looked in the direction. The supervisor, too, was engaged in clearing up grass near the culvert. I repeated to him the same request that I had made to his subordinate. He obliged me and promptly turned towards to his workers and instructed them not to cut tree saplings and ferns. He assured me that he would make sure that his workers didn’t cut the plants which I had specified. He added that he would exclude those plants for the time being but in case instructed by the officers-in–charge, he would not be able to turn it down. “Hey collect some Elephant nettles and give it to Sir to take home”. That came as an unexpected but a surprise to me and I broke into a smile. I laughed and told him that I knew what Elephant nettle was and he grinned at me awkwardly and thereafter resumed work. I thought it was time to leave. 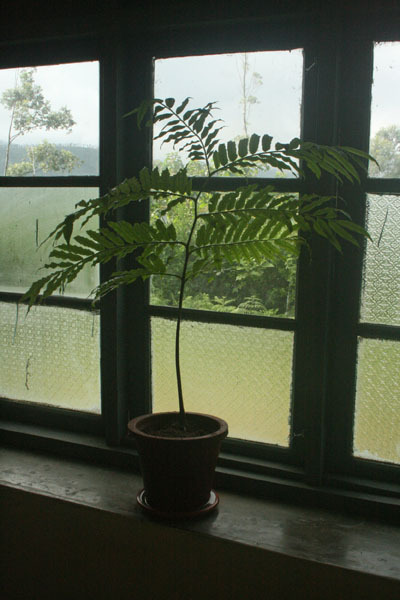 As I write this small blog, the rescued ferns are in my house, sheltered in small pots. I water them regularly, hoping that they will grow well. But I am pretty sure that they will not like to be confined in small pots. Soon, I have to return them to where they belong – the wild.